AASC is a proud ticket outlet for the second annual Second Chance Rocks the Two Virginias Concert! 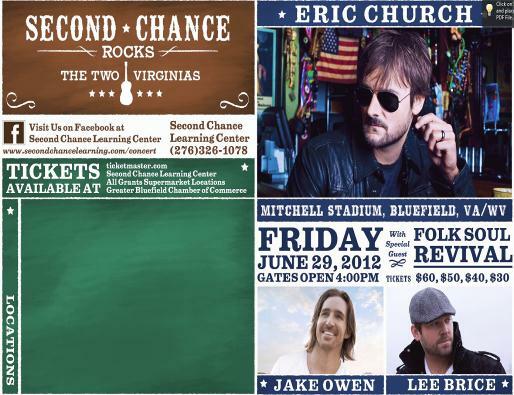 Don’t miss out on your chance to see Eric Church, Jake Owen, and Lee Brice on June 29, 2012. For more information contact Chase Meade-Patton at 276.964.4915.